Naruto Shippuden “Box Set” 31 contains Episodes 388 – 401 (a mistake on the box art of Box Set 30, where it was listed as containing Episodes 375 – 388, rather than 387, led to a mistake on my previous review where I listed it going to 388, for which I apologise…) and as I mentioned in the opening blurb, is mostly filler. Episode 388 (although a lot of that episode is flashbacks) and Episodes 391 to 393 continue the Fourth Shinobi World War, which has currently boiled down to the shinobi forces facing off against the now down-and-out Obito, and his manipulator Madara, who is still putting up a good fight. Madara, legendary member of the Uchiha clan, certainly continues to live up to the hype the series has put on him over the many years, and by the end of Episode 393 the tables have been turned by this one man and our heroes are in desperate peril! So it’s time for a long filler arc to begin! Hooray! Although first I’ll mention that Episodes 389 and 390 actually aired together and focus on Hinata’s sister Hanabi and basically what she was doing during the original Naruto series, as well as a few scenes with her during the whole Pain invading the Hidden Leaf village story from a good while back. They’re not bad, and it’s nice to see focus on a new character rather than another Naruto-centric filler story, but being placed in the middle of a lonely batch of four canon episodes on this set does make it rather annoying. So the new anime-exclusive arc that starts with Episode 394 is often called “The New Chunin Exams arc”, the official Japanese title being “Naruto’s Back – The Tracks of His Friends”, though a more accurate translation would probably be along the lines of “In Naruto’s Footsteps – His Friend’s Tracks”, as it focuses on Naruto’s friends from the Hidden Leaf village retaking the Chunin exam during the time period in between the original Naruto anime and Shippuden, a time when Naruto was away training. That means it is, pretty much entirely, Naruto-free. A very odd thing, as often filler is based entirely around Naruto, especially arcs flashing back to the younger versions of the characters (I am aware the two episodes of filler already mentioned in this review were also like this, but it’s still true on the whole…) It’s refreshing, although the arc isn’t exactly outstanding, and it lasts until Episode 413, so to say it outstays its welcome would be an understatement. 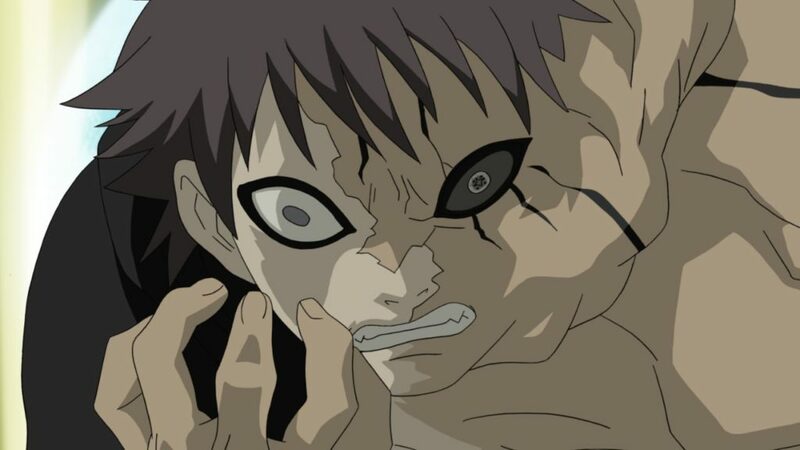 It’s a shame because there are some glimmers of a good story here, the actual physical part of the exam taking place in the Hidden Sand village this time round and it tying in with a plot to kill Gaara, the brand new Kazekage. It also features a lot of the now long-dead Akatsuki group, who are always a fun set of villains. “Silhouette” by KANA-BOON is your opening for all the episodes contained on the set, while the still-being-too-harsh-to-itself “It’s Absolutely No Good” by Shiori Tomita is your ending until Episode 393, where the new ending becomes “Spinning World” by Diana Garnet, an American singer who moved to Japan after university and managed to make it in the Japanese singing game (as in actually singing in Japanese), which is impressive! As per usual, I’m sure I don’t need to say it, but the extras are a clean opening and ending, and trailers. Naruto Shippuden Box Set 31 is one of those awkward releases where a few big canon events happen, but most of it is entirely skippable and quite dull. I mean, skippable and dull is better than being bad or unwatchable, but it still doesn’t make for a very satisfying release when you only end up watching four episodes out of it with an interest. One for the completionists only, methinks.